If you love art, then you’re probably enjoying the number of museums you can discover in Los Angeles. From the LACMA to the Broad to the Getty, there are many art museums to find throughout the city. One of the newest art museums to hit the Los Angeles scene is the Marciano Art Foundation. This is the latest art museum to emerge in the area. Check out this all-new space before word gets out about this fantastic new art museum! The Marciano Art Foundation is a contemporary art space that is located in an old Masonic building. The museum will showcase collections from emerging, mid-career and established artists from the 90s to the present. The museum offers rotating exhibits as well. Currently, you can see the Latin American Artists in the Marciano Collection exhibit. LA/LA is an ambitious art project that puts art from Latin America in dialogue with Los Angeles. Various pieces are located through museums in Los Angeles including the Marciano Collection. From now through January 13th, you can see Jim Shaw: The Wig Museum. This exhibit showcases Shaw’s engagement with America over the past 30 years. The display includes paintings, drawings, sculptures, and installation. If you are interested in visiting the Marciano Art Foundation, admission is FREE. Simply reserve tickets online and in advance of your visit. Currently, the Art Foundation does not have a standby line. If you want to attend the museum, tickets must be reserved in advance. These tickets are also timed admissions. You will only be admitted inside if you show up within the 30 minutes following your reserved time slot. The museum is open Thursday and Friday from 11 am - 5 pm and Saturday from 10 am - 6 pm. 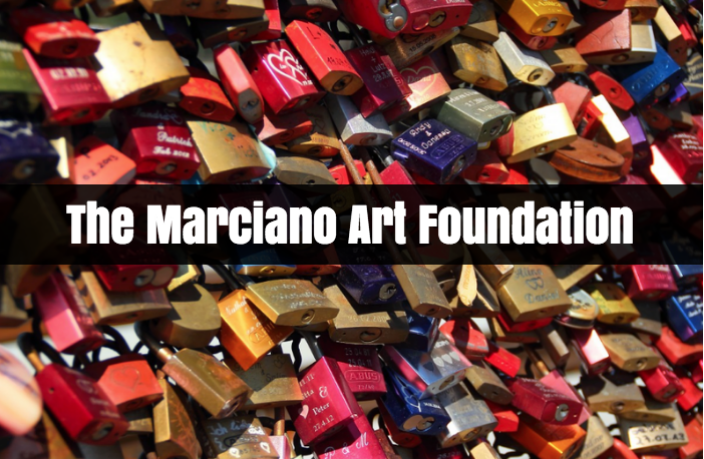 You’ll find the Marciano Art Foundation at 4357 Wilshire Blvd. Stop by the latest art museum in Los Angeles today!